Who loves Karaoke? Everyone! That’s who. It doesn’t matter if you’re a fun-sized kid or a big kid trapped in a “grown up” body, playing and singing Karaoke is tons of fun! And the best news yet? Karaoke just got even better with the release of the Disney Karaoke Series Frozen CD. If your kids enjoyed the Academy Awards winner for Best Animated Feature, they’ll love singing and dancing along with all their favorite songs from the movie. Does the CD truly capture the essence of the movie? Is it something you’ll want to play again and again? Find out by reading our complete Disney Karaoke Series Frozen CD review down below. The wait is finally over! The brand new Disney Karaoke Series: FROZEN CD is here! Sing along to your favorite songs from the Academy Awards winner - Best Animated Feature FROZEN. The CD features eight instrumental plus eight vocal tracks, including 'Let it Go,' winner of Academy Awards - Best Original Song, our favorite duet 'Love is an Open Door,' and Olaf's big winter hit 'In Summer'! Eight songs from Disney’s Frozen made the cut. Can you guess which ones? I won’t completely spoil the surprise, but you’ll instantly recognize songs like: Let It Go, For the First Time in Forever, and Fixer Upper. Oh, and who can forget Olaf’s big winter hit, In Summer? All 8 songs have both instrumental and vocal versions for a total of 16 tracks. 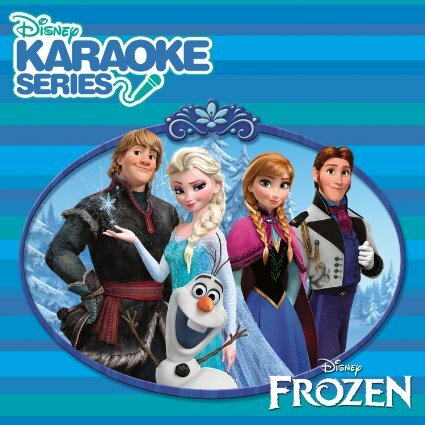 With the Disney Karaoke Series Frozen CD, you can sing along with the instrumental format or choose the vocal recording instead to learn and sing the songs with your own unique twists and arrangements. Worried about how to play your Karaoke CDs? Don’t be. They are designed to be played with a Karaoke machine hooked to your TV to display the words. Where’s the best place to find the Disney Karaoke Frozen CD? We recommend Amazon for its ease of use, low prices, and super speedy delivery options! One thing to note: it is NOT designed to show lyrics on a computer screen, so if you planned on hooking it up to a computer, you’ll be disappointed. The entire Karaoke experience includes microphones and the lyrics being fed to you with background music to help you sing the song. If you don’t have a Karaoke machine, the “Singing Machine SML-385W Disco Light Karaoke System” is an excellent option. It’s low-priced, easy to use, and specifically designed to play whichever Karaoke CDs you choose to feed it. Better yet, it’s top-loading which makes changing CD’s a flash and kids love the flashing disco lights. Combine that with two microphone jacks and separate volume controls, and you’re sure to have an instant sing along dance party. If your child has fallen completely in love with all things Frozen, there are many other Disney toys you should consider pairing up with your Frozen Karaoke CD. Some of our favorites include the Frozen Flashing Light-UP Karaoke and the Disney Frozen Elsa & Anna Sing Along Boombox. The Flashing Lights Karaoke has amplified sounds, lights, and includes the Frozen CD and lyric booklet. The Frozen Cool Tunes Sing Along Boombox is a great choice for the little princesses in your life, as it is a less sophisticated Karaoke machine that features Anna and Elsa from the movie. Oh, and don’t forget your toddlers! Disney has plenty of Frozen themed toys for them too. One we really love is the Disney Frozen Playland. It comes with 20 balls and includes an interactive panel with peek-through windows. Disney has a large collection of Karaoke CDs so you don’t have to confine your fun to just Frozen. Must haves include “Disney on Broadway” and “Disney Mania”. You can quickly search Amazon for a lot of other great Disney movie Karaoke CDs. 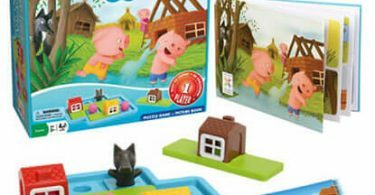 Disney rarely disappoints when it comes to creating fun and age-appropriate toys for children that capture their imaginations and inspire their creativity. The newest Frozen Karaoke CD is another great gift choice designed to last. It’s sure to provide endless smiles and hours of enjoyment for the entire family. 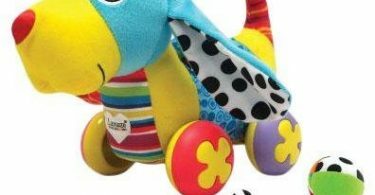 Lamaze Pippin The Push Along Pup Review – Cutest Puppy On The Block?